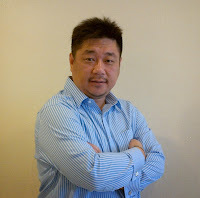 CEO of Verity Intelligence Sdn Bhd Mark Leow commented that the two regrettable cases of trusting the wrong people, namely the Ambank robbery and the amok delivery boy, could have been prevented, if proper background check had been performed. Although background screening is fairly new in Malaysia and is more common in mature countries, simple verification of potential employees could have prevented the recent tragedies, namely the Ambank robbery and the delivery boy running amok, said CEO of Verity Intelligence Sdn Bhd Mark Leow. “My sincere condolences to each of the families of the deceased. If more employers take preventive measures of just verifying the backgrounds of their potential employees, these tragedies could have been prevented. Employee due diligence is a basic necessity for every company, either before hiring an employee or during annual audits of existing staff. Verity Intelligence’s FitRecruit service ensures an organisation has all the necessary information and details, including integrity checks, education verification and financial status on future hires/existing employees to ensure they hire only qualified, trustworthy employees. Verity Intelligence’s vendor due diligence programme ensures all current and future vendors and suppliers comply with company policies. FitPartner verifies all vendor information, including business legality and legitimacy, financial information validity and personnel integrity to allow companies to make informed decisions on appointing or retaining their vendors and suppliers. Verity Intelligence’s customer due diligence programme ensures companies looking to acquire new customers only conduct business with trustworthy, reliable organisations. FitPartner KYC ensures future or current customers have a good business track record, a healthy financial reputation and are not involved in cases of identity theft, financial fraud, money laundering and terrorist financing. Original reference.